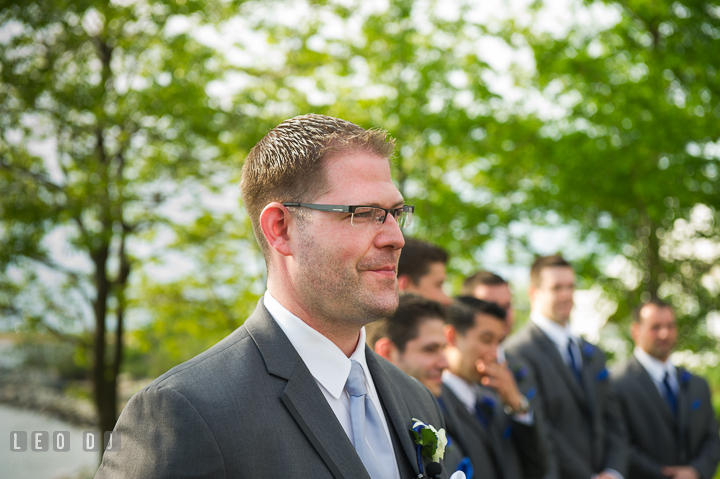 Posted June 26, 2013 to wedding by: Leo Dj. 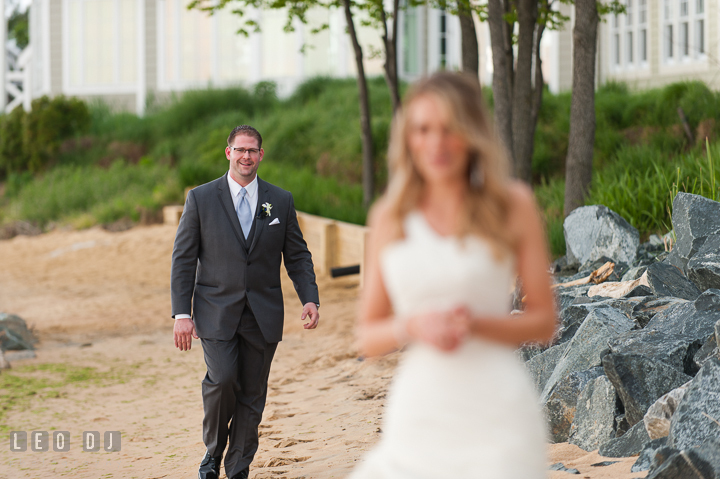 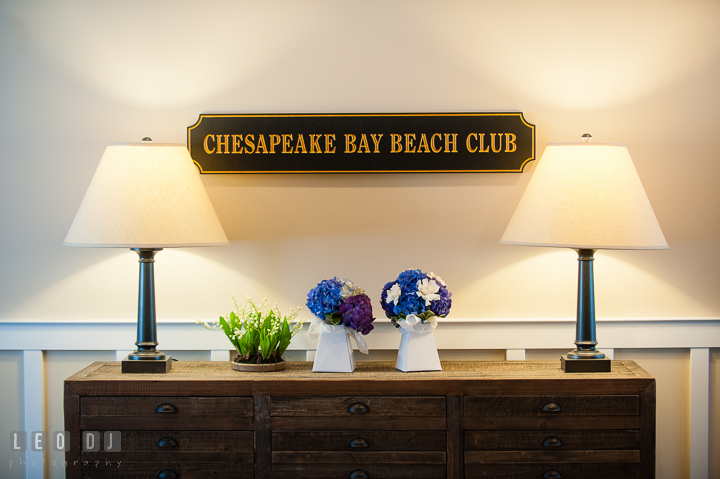 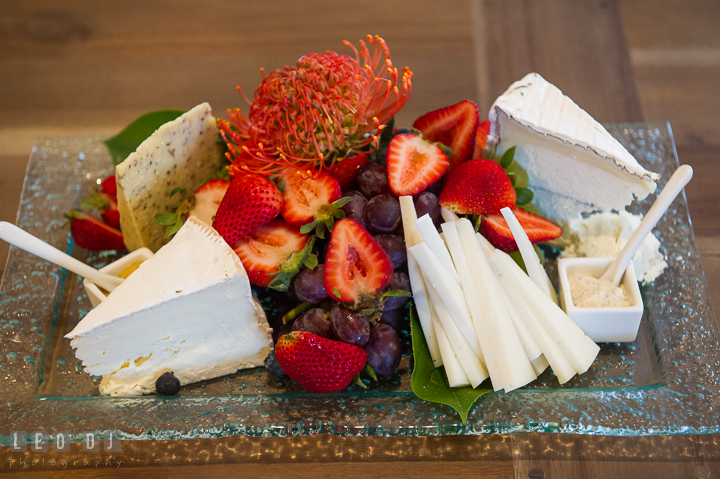 As for the wedding ceremony and reception, Casey and Todd decided to celebrate them at the prestigious and famous waterfront venue on Maryland’s Eastern Shore, The Chesapeake Bay Beach Club. 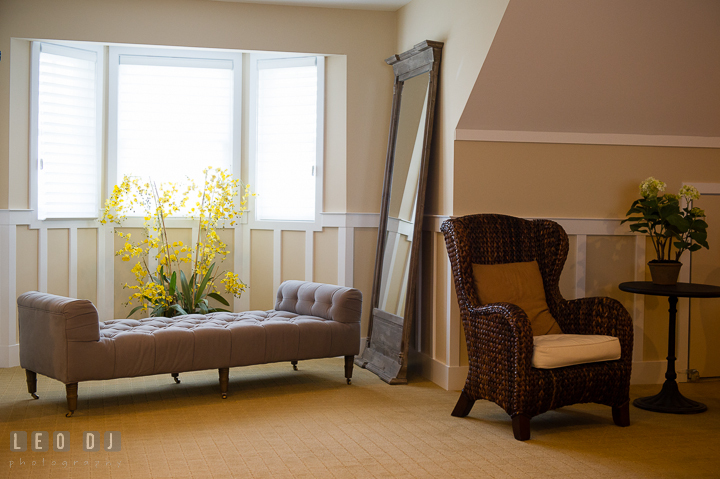 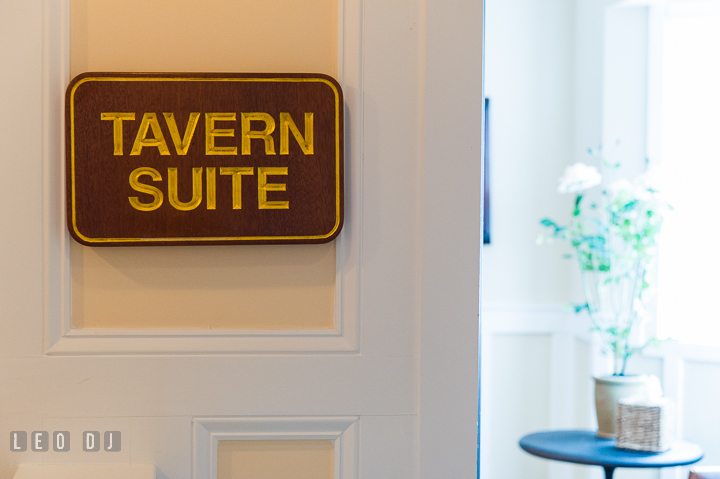 The Bridal party were getting ready in the beautifully decorated Tavern Suite. 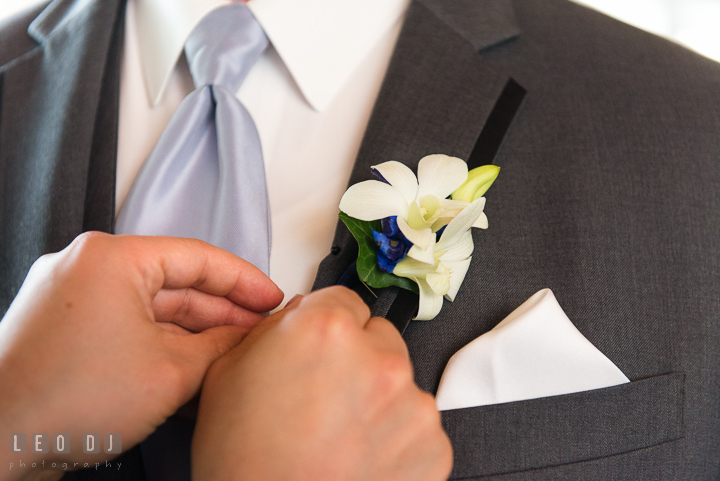 Todd, the Groom, had white orchids for his boutonniere, as well as all the Fathers, Best Man, and all the Groomsmen. 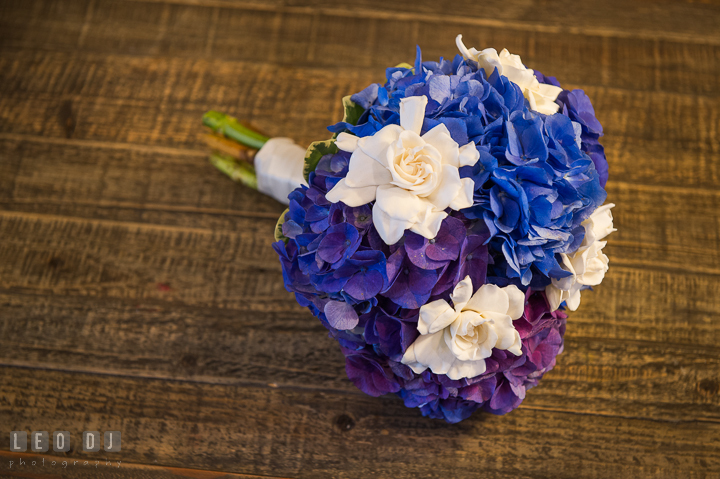 Meanwhile the Bride got this gorgeous white roses and blue violet hydrangeas flower bouquet designed by Cache Fleur. 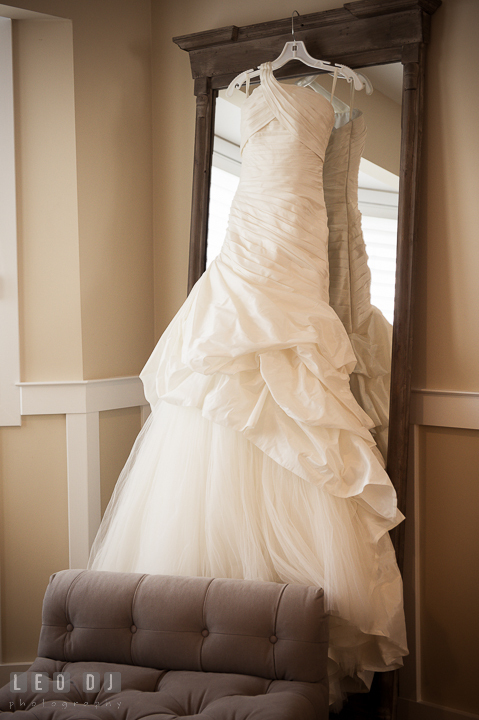 This gorgeous wedding dress was from Bridals by Elena. 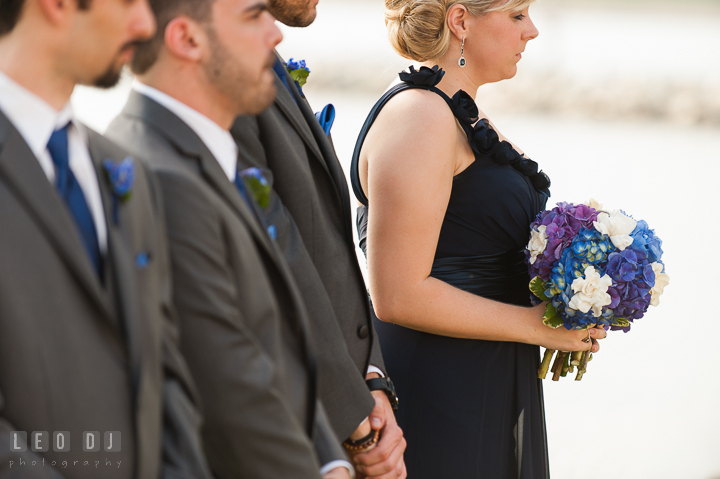 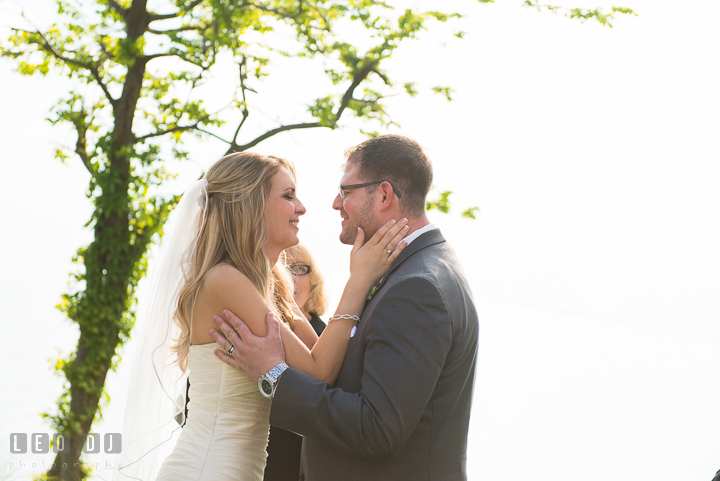 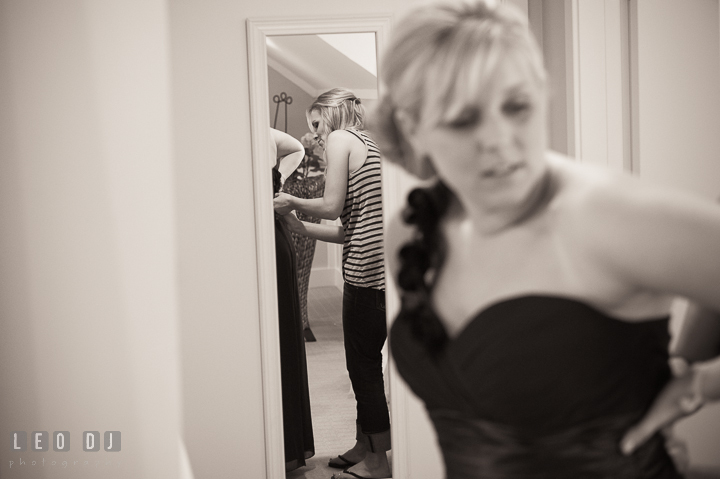 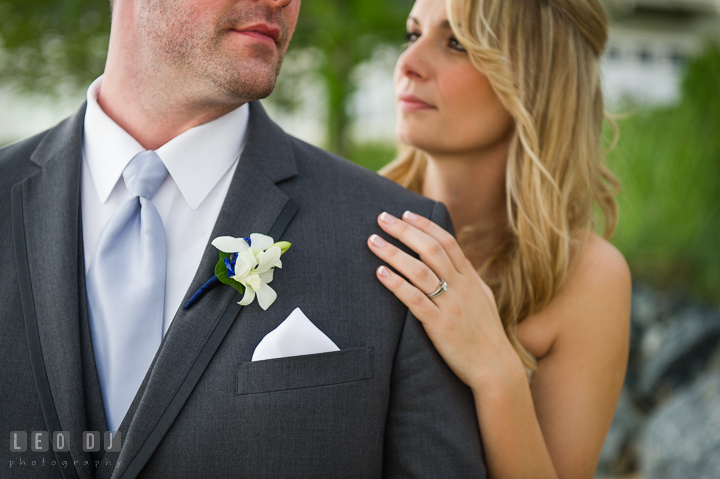 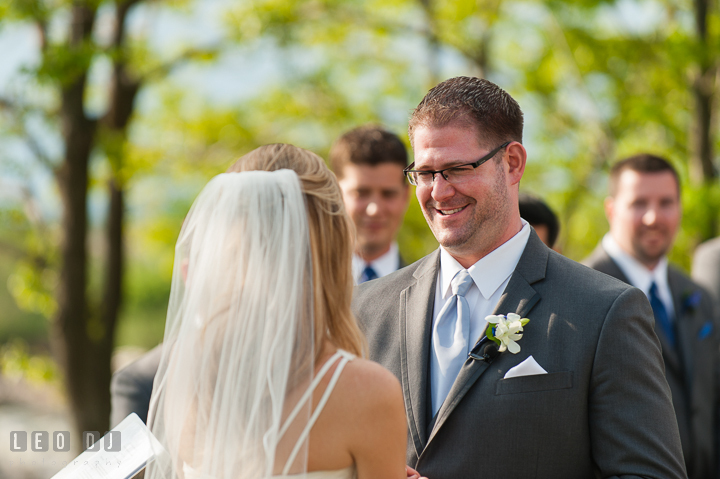 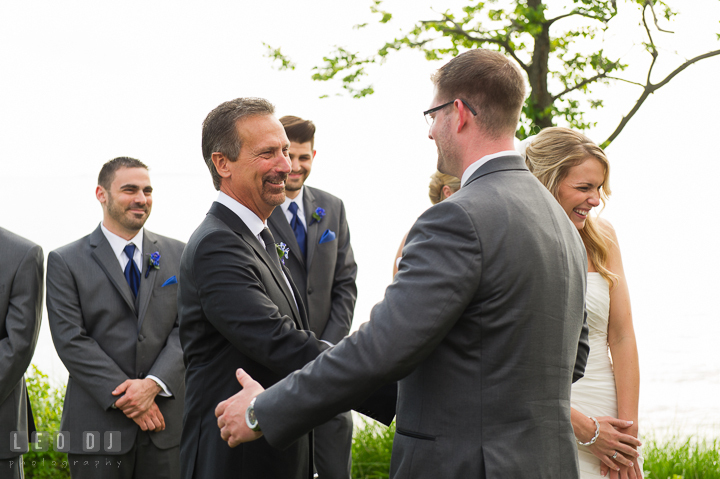 Casey and Todd decided that they wanted to do first glance before the ceremony. 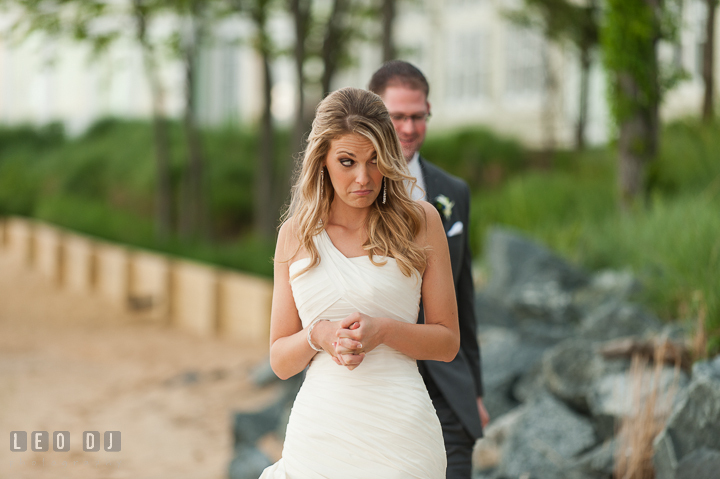 Casey was wearing a special Bride sandal suitable for walking on beach sand. 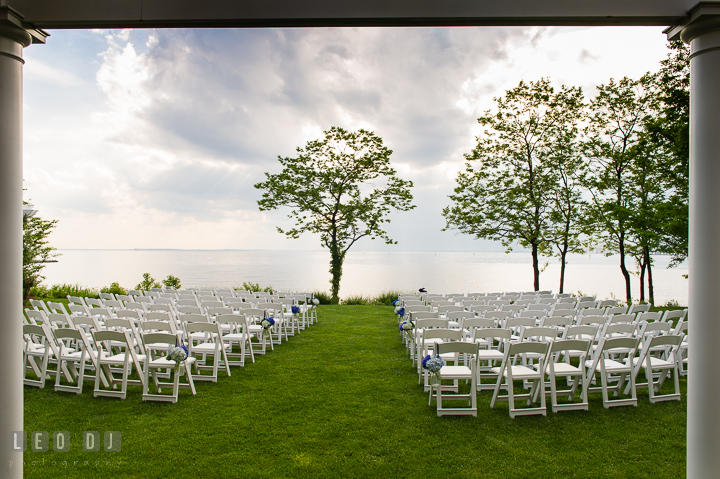 Gorgeous water view of the Chesapeake Bay from the ceremony site. 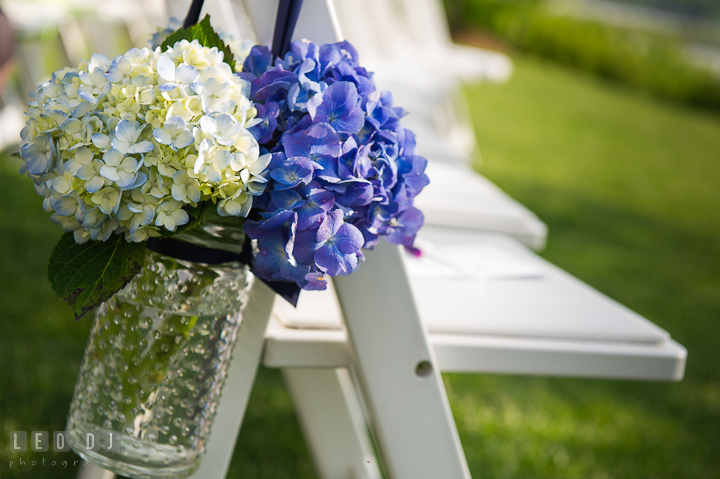 More hydrangeas for the aisle decorations. 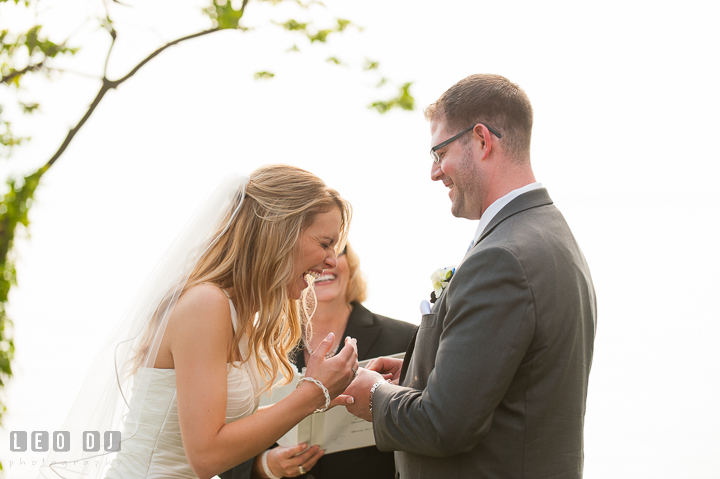 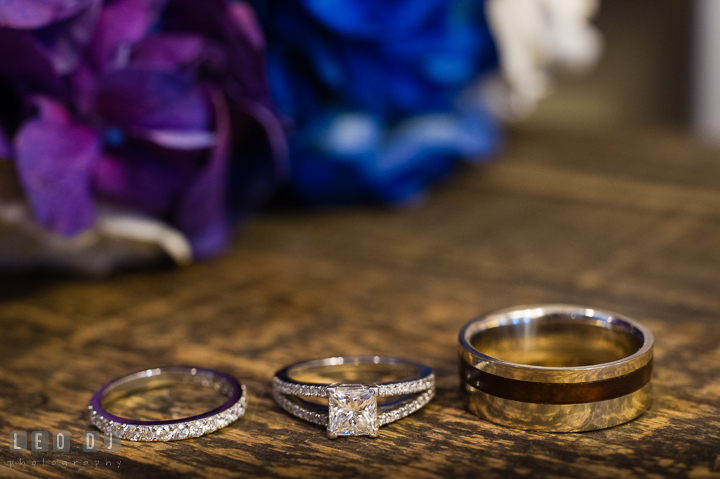 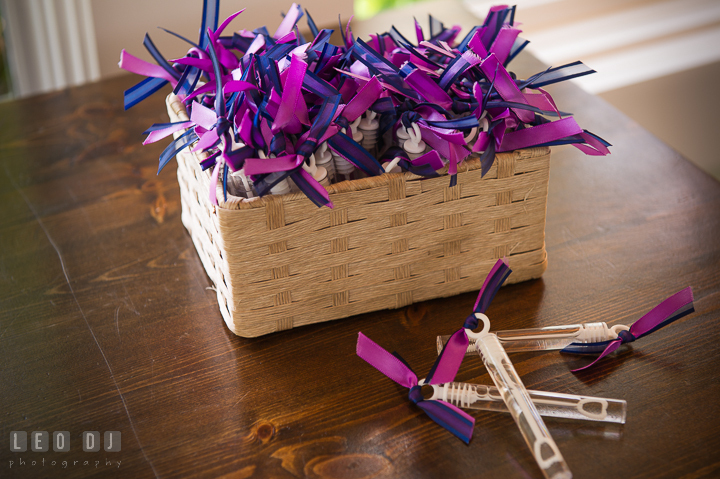 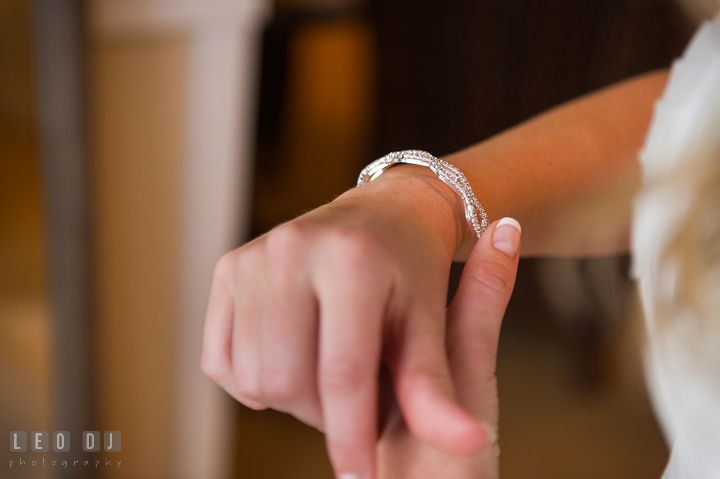 After reciting the vows, it was time for the Bride and Groom to exchange the wedding rings. 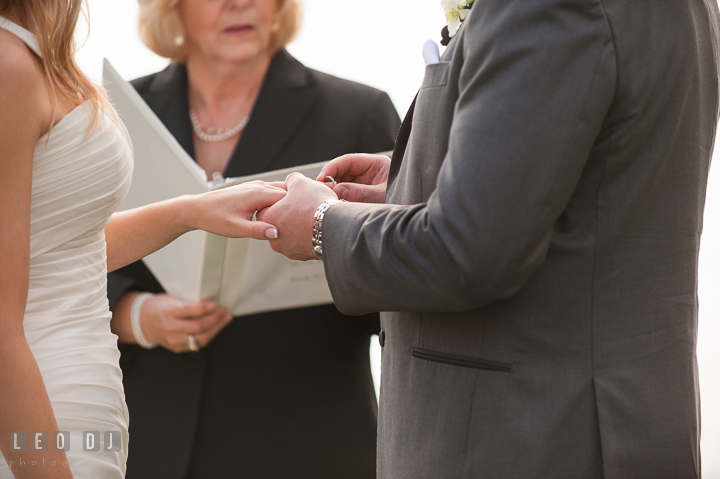 So there were at least two funny moments you seen so far, both were during the ceremony. 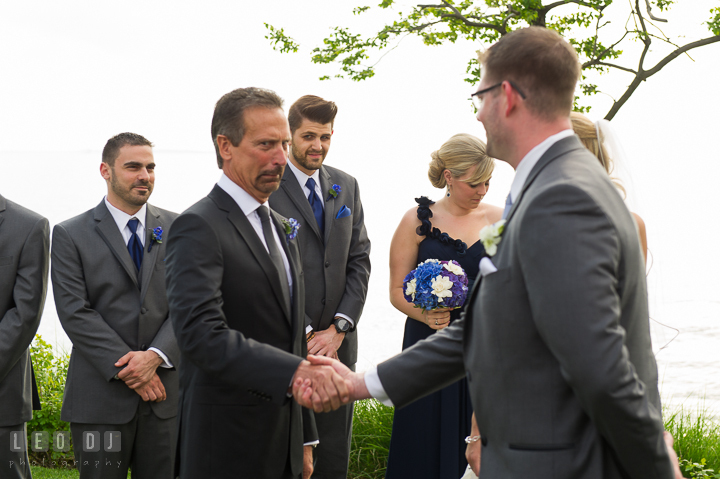 To be continued to part two, the ceremony! 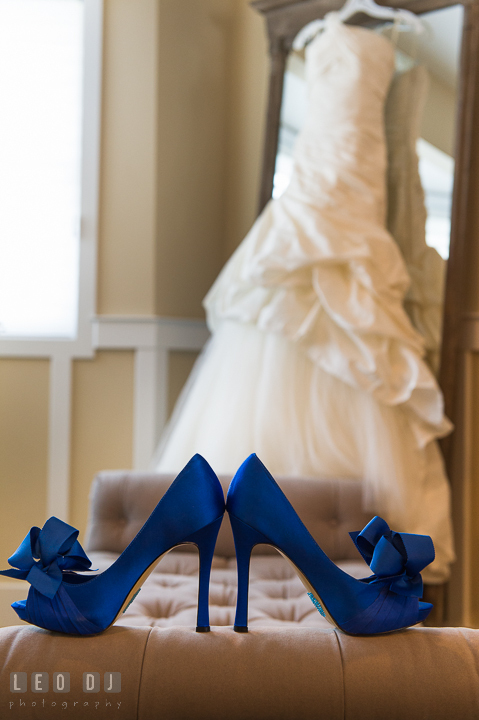 Posted June 26, 2013	to wedding	by: Leo Dj.